A toothbrush should be replaced every eight weeks and so imagine how many millions of plastic toothbrushes are lying in landfill sites all over the world........this eco-friendly child?s toothbrush has an ergonomic compostable and biodegradable handle that can be snapped off after use and thrown into your compost bin – how cool is that? It may also be possible to recycle the head with nylon bristles if that is an option in your area. 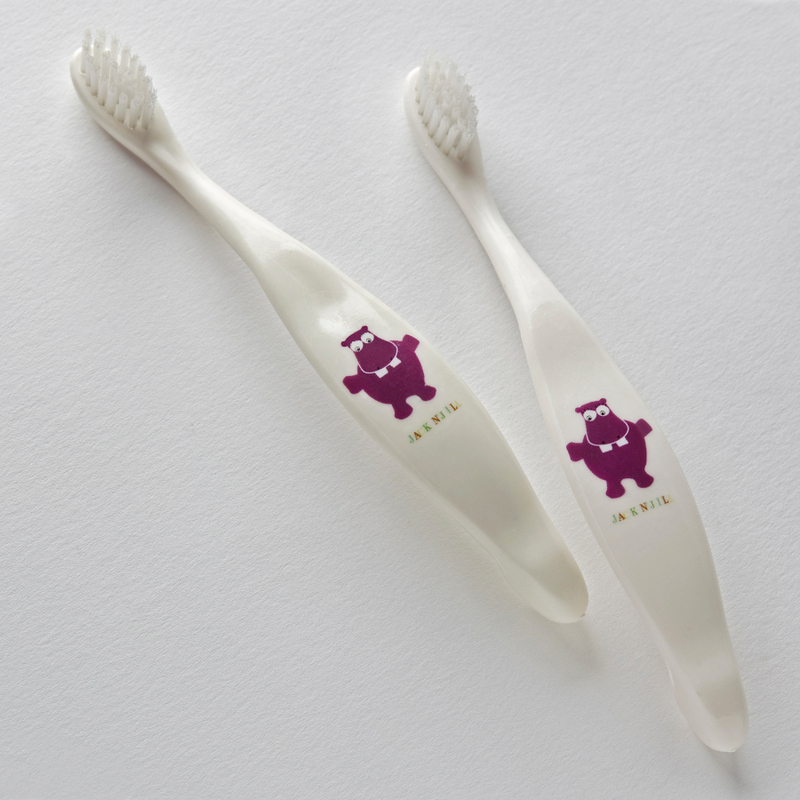 It?s a great way to introduce your child to the joys of eco-friendly living and the cute hippo face, easy to grip handle and soft, shaped nylon bristles all add to the joy of effective teeth-brushing. 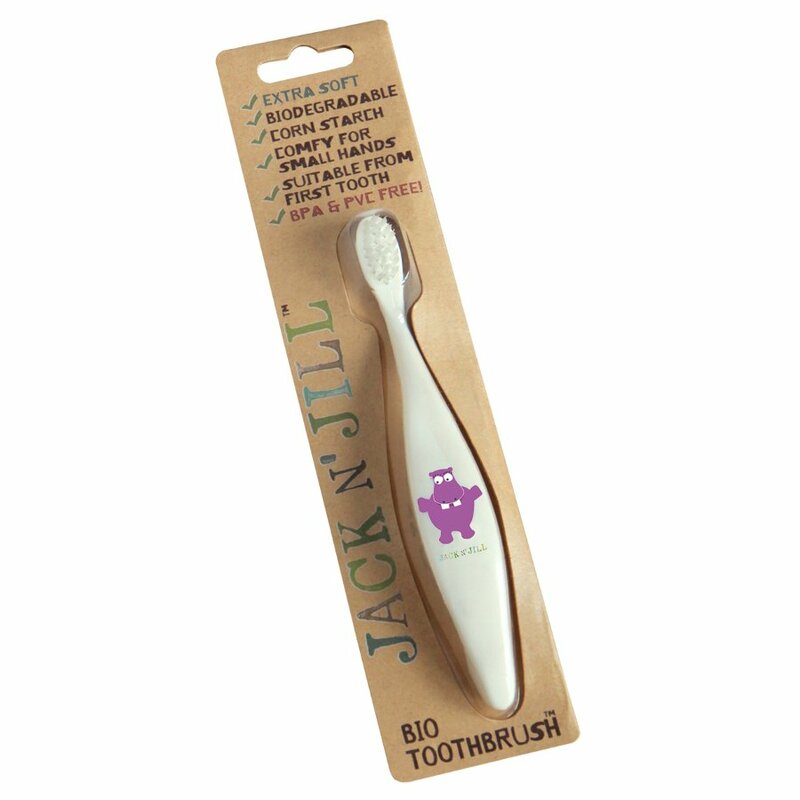 The Jack N' Jill Toothbrush - Hippo product ethics are indicated below. To learn more about these product ethics and to see related products, follow the links below. Bristles came out after a week of use. 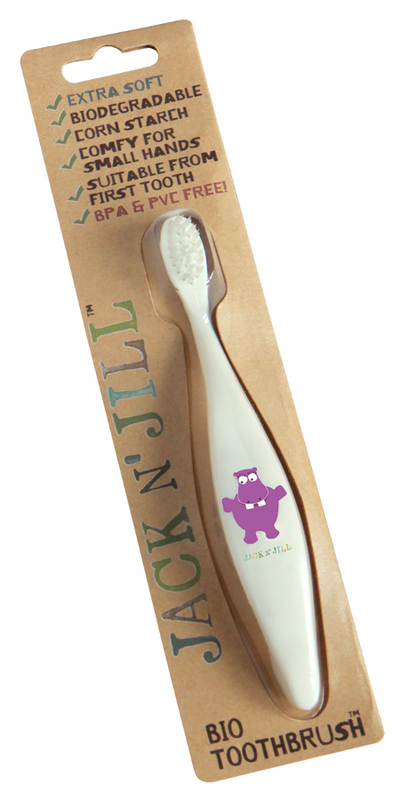 There are currently no questions to display about Jack N' Jill Toothbrush - Hippo.